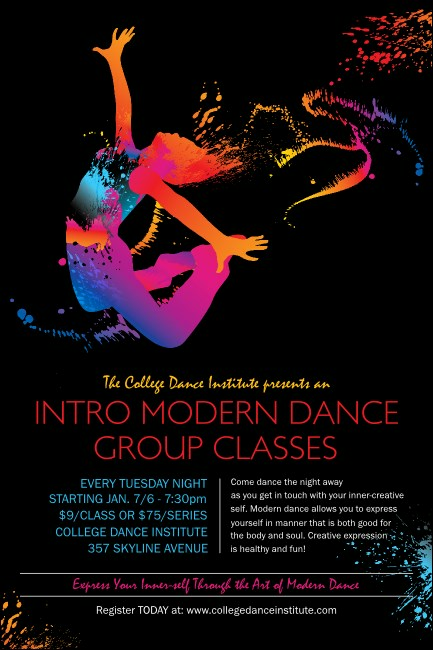 Release your inhibitions with pre-event publicity with Modern Dance Black Posters. These Posters are stunning and colorful with a vibrant neon dancer, expressing intense emotion through a strong pose on a solid black background. Add up to sixteen lines of text to the template in red, yellow, pink, and blue! Grab their attention and keep it with Posters from TicketPrinting.com.